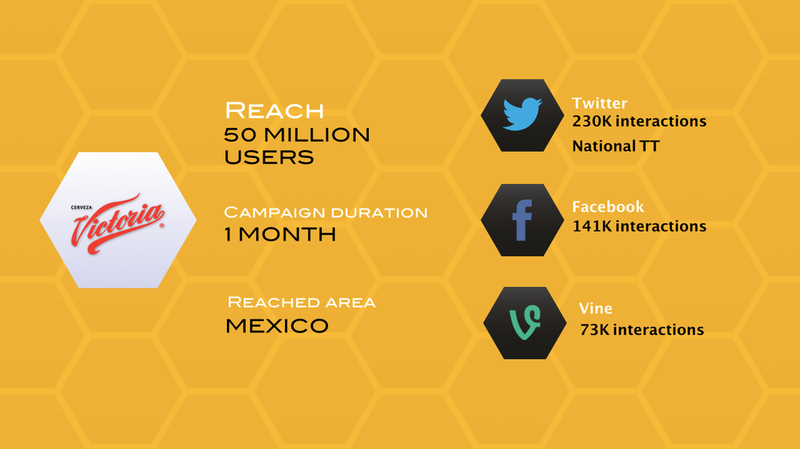 For Mexican beer Victoria, we set up a pull of medium-high level influencers very oriented to a young consumer profile. Through their channels on Twitter, Facebook and Vine, 3 independent campaigns were communicated across a whole month, two of them bounded to events or remarkable dates. Although this small group of influencers didn’t count on a massive reach, thanks to a coordinate strategy of pure relevant content a mass audience was impacted, an audience that generated an amount of interactions that exceeded 10x the expectations.